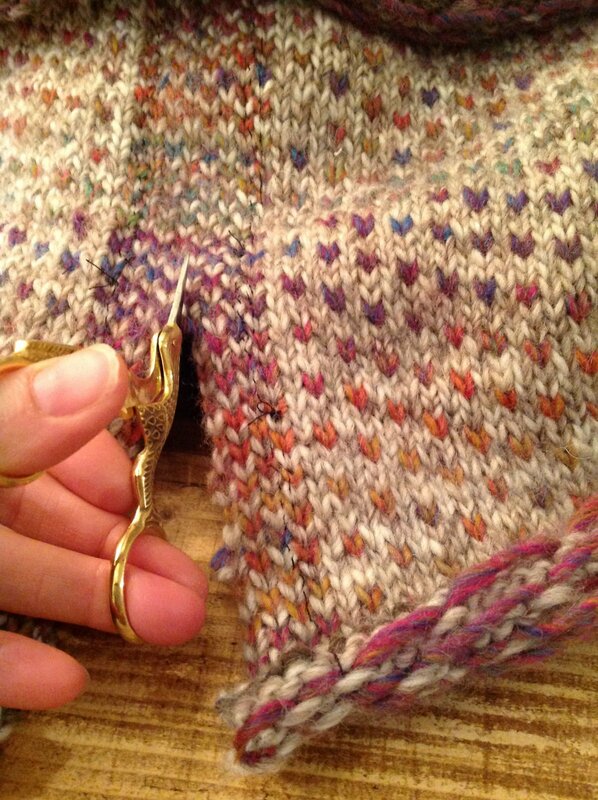 Steeking is a shortcut used to knit garments such as sweaters in the round without interruption for openings or sleeves until the end. After completing a tube, a straight line is cut along the center of a column of stitches, in order to make room for an opening or place to attach another piece. Debbie will be joining our team this month to conduct this technique. She will be bring samples of this cozy - if time allows, please make a sample for yourself to practice on.